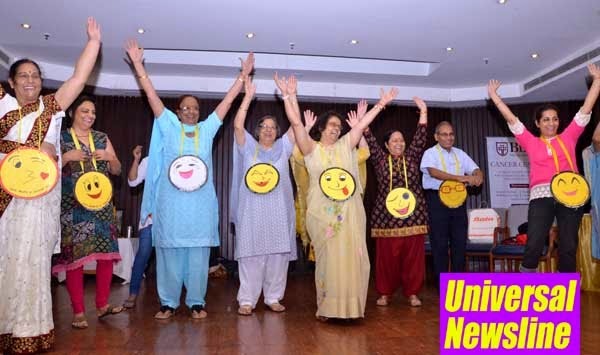 5th October 2014; New Delhi: Dr Amit Agarwal, renowned doctor in the field of Medicine Oncology (Cancer treatment), organized a special workshop for breast cancer survivors and patients. The one of its kind workshop saw an open discussion on the problems faced by breast cancer patients during and after treatment; expectation from the hospitals; care to be taken during and after the therapy; Post therapy or surgery independence; etc. Over 100 patients treated and undergoing treatment by Dr Agrawal participated in the workshop. The workshop also had special session by Dr. Amit Agarwal and Mamta Goenka – A breast cancer survivor and warrior. Mamta Goenka in her address said that it is necessary for all of us to be conscious of our own health and body. Ratio of patients is drastically high in urban areas than rural and this is because of the lifestyle and diet we have adopted. One should always have a proper diet and a balanced lifestyle to avoid bring such critical burden on ourselves. She further added it should be made self-mandatory by each one of us to do self examination regularly, this ensures early detection and higher chances of treatment. On the occasion a blood cancer patient turned awareness campaigner Sita Pental said "I know I am suffering from an incurable Disease but it doesn't disheartens me. For sure I will die one day but I don’t want to die every day. I have only one mission to improve lives of cancer patients and make people aware of this fatal disease. I have taken up this noble cause and its gives me happiness and keeps me busy. At 84 I am completely fit and don't have any other ailments even the one associated with age. I drive myself, fly to places in India and abroad and live my life to fullest."